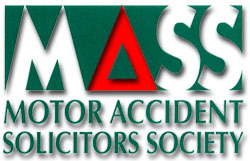 Accident Claims Assist is powered by Stewarts Solicitors, who have a wealth of experience in all types of claims. We are not claims handlers, instead we are an established Solicitors practice which has served the community's needs for nearly 100 years, assisting in personal injury litigation claims throughout Northern Ireland and the Republic of Ireland. Please browse through this Website and discover what you should expect from a Solicitors firm in the 21st Century. We are confident that we offer a complete package that should not only meet, but exceed your every expectation.